The human life-form is not self-existent. Without a constant external supply of certain vital needs it will die. These have only one source. That is the terrestrial biosphere. Human beings cannot exist without land. In ancient times, so it is believed, people acquired possession of the land they needed simply by finding it then settling it. There was plenty for all. Contrary to widespread belief, there is still plenty for all. Despite this, most of us have none. We do not possess the means to turn our labour into our needs of life. The reason is that, from ancient times, certain people have been greedy. They wanted more than they needed. Essentially, they wanted control not only of their own lives, but also the lives of others. The best way to gain control over people is to take control of the source of their vital needs, namely their land. So that is what they did. Initially, so one is led to suppose, these ancient control freaks gained possession of the lands of their more passive contemporaries by force. At first it was probably a case of a large family leaning on its smaller neighbours. Later, perhaps a powerful baron pushed at his borders thereby gaining the land of the lesser barons around him. Finally, powerful nations conquered and subjugated lesser nations through overt acts of war. Through this process of forcible dispossession, ownership of land became increas­ingly polarised. More and more became owned by fewer and fewer. And so it continued. All the land of planet earth thus became the possession of a small minority. Poss­ession equals power. The landed few thus gained power over the dispossessed many. It gave this few the power to determine the laws by which all must live. Naturally, they formulated their laws to serve their own interests. 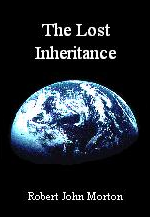 One of their laws was the law of inheritance. They structured this law so as to ensure that their descendants inherited their spoils. Their descendants eventually became peaceful members of a modern ordered society. Nevertheless, they saw no reason why they should return to their disposs­essed contemporaries what their forebears had stolen from their forebears. After all, the law did not require it. This is hardly surprising. The law is not there to diss­eminate equity. It exists solely to serve the selfish interests of those who hold power and influence. Inheritance is a thing you cannot acquire by effort. It cannot be earned by any amount of personal endeavour. You either have it or you don't. And most don't. Inheritance is therefore not a means by which most can acquire their just and rightful portions of their planet's economic resources. Today, in the modern capitalist free market, it is possible to acquire land by pur­chase. Land, however, is fundamentally different from everything else that is traded on the free market. Land is finite in quantity and has a permanent existence. There is only so much of it, but what there is, lasts forever. All other commodities are consumables. Their existence is transitory. They are created and then consumed. This is obviously true of things like food and fuel. But is it also true of so-called capital items like computers and cars. It is even true of seemingly permanent things like houses and ships. They are all created, sold and used. Then they wear out, die and their materials are recycled. In this context, the notion of land having a price, in the way a product or service does, makes no sense. Rationally, the value of land would have to be reckoned in a different currency. Furthermore, such a currency could have no numeric equiva­lence to any in which goods and services were valued. Goods and services are what human beings consume. Land is the everlasting means through which people produce them. Each human life-form and the terrestrial resources required to sustain it are in­separable components of a single machine. Putting a price on land is conceptually like putting a price on people. I don't mean the price of their hire. I mean the price of their purchase. I am talking about the buying and selling of human beings. I am talking about slavery. Though land be not sentient, the fact that both it and man are parts of an indivisible whole makes the buying, selling and disparate possession of land not very far removed from the same thing. Notwithstanding the above, land is traded in the free market in the same currency as are goods and services. The result is that amounts of an eternally regenerative resource are exchanged for transitory consumables. The buyer of land gains something that will last forever. The seller gains something that will all too quickly evaporate. This may seem to provide a way for one, whose forebears were forcibly dispossessed, to regain his lost inheritance. However, land is a finite resource. It cannot be manufactured. Its price is therefore always high compared with that of human labour. He who must live by his labour can never hope to save up the price of even the smallest viable estate. The only way one who is landless can amass the price of land is by fortuitous trading. He must trade for profit, not work for a wage. But profit is determined more by fortune than by effort. Chance must first find you an owner of land. Providence must then make him desperate to sell it. Profit must have furnished the buyer with the right amount of ready capital. Everything must come together in the right place at the right time. In the capitalist free market, chance offers such opportunities to only a few. Consequently, while land may on occasions change hands; market forces ensure that these owners shall forever remain few in number. Sadly, the only real way for the dispossessed many to regain their rightful portions of their native planet is by popular insurrection. The favoured few who possess much, if they wish to keep what they have, must protect it from this real and present threat. In ancient times, one may safely speculate, this protection was provided directly by the landowner. He maintained his own private army. Nowadays, however, this force is not provided directly by the owner of what has to be protected. It is provided instead by a police force. This comprises officers, each of which, in return for a wage, prostitutes his mental agility and bodily strength to protect the possessions of the landed elite against invasion, capture and confisc­ation by the dispossessed many, of which he himself is one. If the police are met with an overwhelming force, then they are backed up by a larger and more heavily armed organisation called the army. The few who possess the earth thus ensure that they continue to do so by hiring some of the disposs­essed to protect their possessions from all of the dispossessed. Signs show that disparity is increasing. Indeed it is accelerating. The point may soon be reached when, no matter how strong the forces of containment may be, the bubble of oppression will once again burst into popular insurrection. Each time, the explosion gets bigger. The next time could easily be the last. Then the status quo, as we know it, will be destroyed forever. This surely will be the ultimate manifestation and bequest of unbridled free market forces.